It's April, people, A-P-R-I-L! but the temperature is sure taking its dear sweet time to rise to regular spring levels. That doesn't stop me from dreaming of sandal days...sundress days...sunglasses days that I know are right around the corner. (Dear God, please let them be right around the corner!) So while I'm still stuck in a heavy coat and tights, here are my aspirations for the upcoming months. I may already own 1, 9, and 12 and they are burning a hole in my closet! I can't wait to break them out! 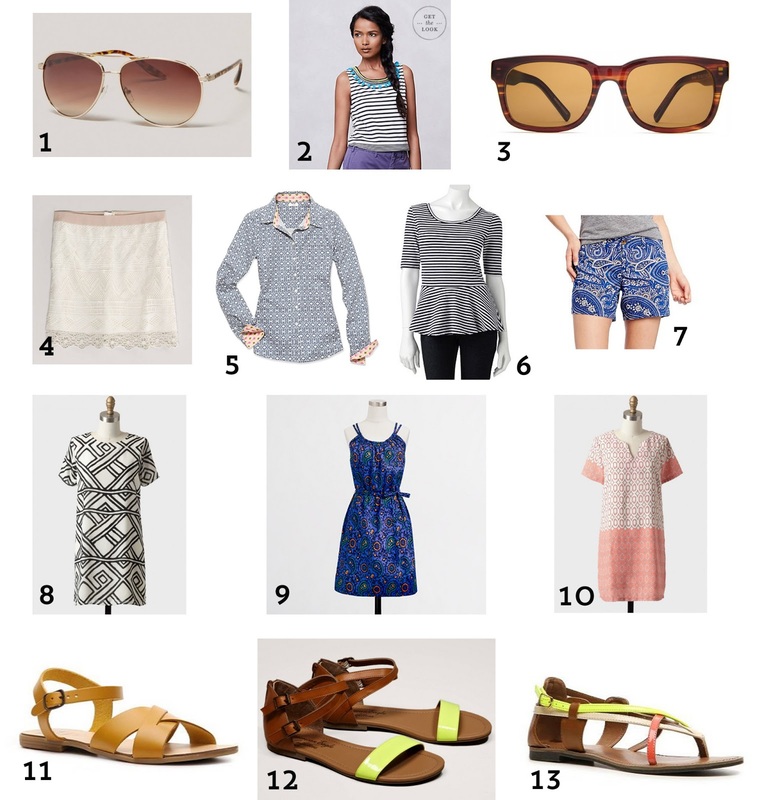 What else should I add to my warm weather wish list? I want a new pair of sunnies too! I dragged my brother and browning to soho to warby parker thinking it would be like a normal store - and to our surprise we basically walked into their office/show room haha you can't even buy anything there! Last weekend it was 75 degrees and sunny in Portland (SO rare for this time of the year in Portland), and now its 45 degrees and raining! What the heck! I'm so ready for summer! Love this fashion board Mel, how did you make it?! Ugh! The back and forth is torture! I can't wait for a good solid stretch of lovely weather too. I used Photoshop to put the collage together. I'm sure there are much easier ways to compile these things but it's the program I have and know, so it works! Right there with ya. I'm going to start with new sunglasses and hope the weather catches up. Love those sandals. I can't wait to start wearing some. My toes need to see some sunshine.